glassgilding | Over the last 20 years working in my London studio I have been extensively commissioned to design and create original Verre Eglomise (gilding on glass) -panels,mirrors and screens for a wide variety of clients. Verre Eglomise is the process of applying metal leaf to glass. Precious metals such as Gold, Silver, Platinum and Palladium are used depending on the required effect. This make Verre Eglomise sound like a simple straight-forward process, however, this is not the case. Through a panoply of techniques a myriad of wonderful, luxurious, effects can be achieved that scatter light, creating colours, translucence and reflections that cannot be achieved through other media. 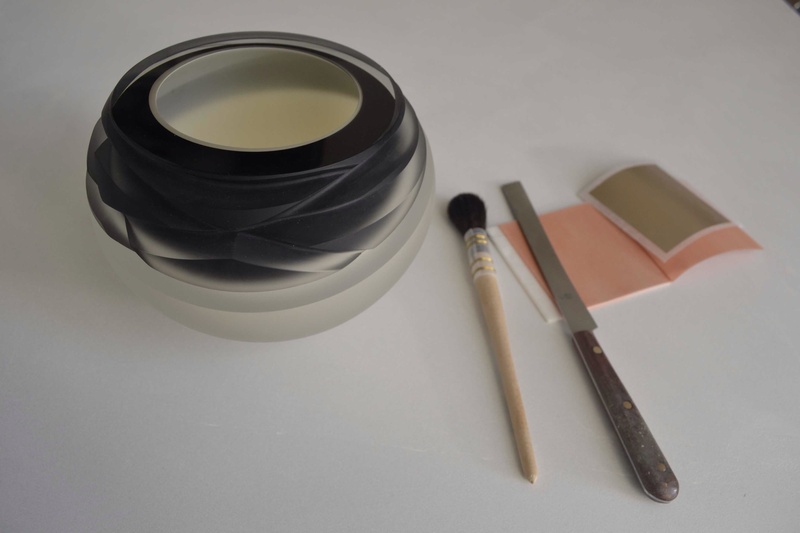 Over nearly 30 years of working with Verre Eglomise Estitxu Garcia has created her own unique vocabulary of techniques that include the use of range of chemicals to create striking colour effects that enhance and extend the pure metallic colour. The Verre Eglomise panel is often ‘distressed’. This is a process of thinning the layer of metal leaf after it has been applied so that it will reveal Art Work that has been created on a back board that will sit behind the Verre Eglomise glass panel. Please see the the links below for examples. 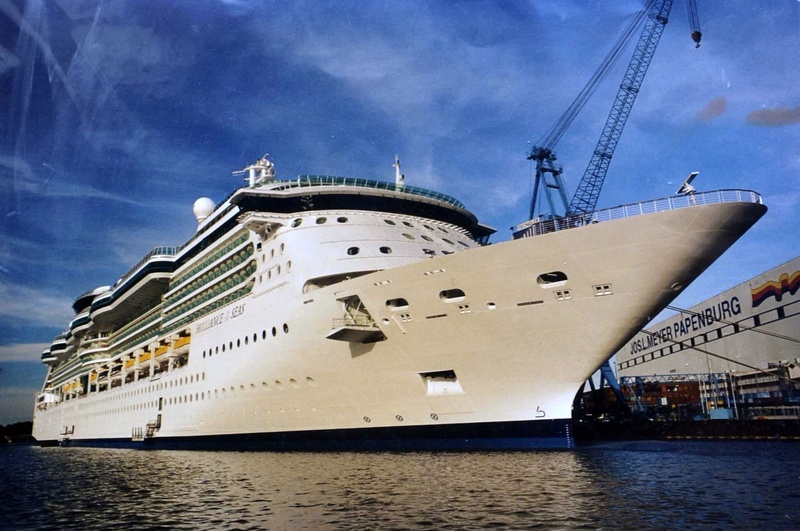 Apply a single coat of oil gilding to the surface. I normally used 12 hours sizes from Lefranc. Normally I apply at 6 or 7 at night and when I can in the morning to my workshop it is ready to gild. 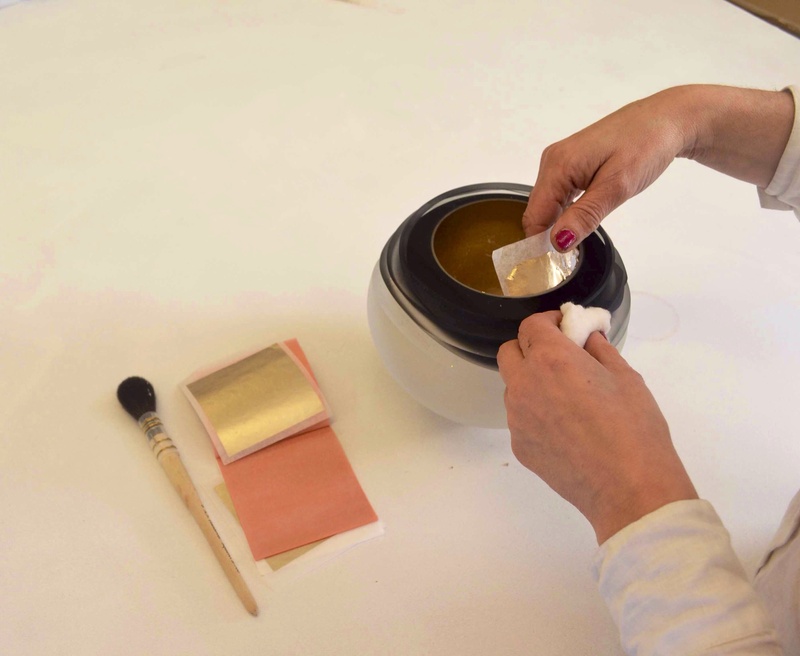 If you are using transfer gold leaf take a sheet out of the booklet, place it face down onto the sized area and gently rub over the back of the backing paper with cotton wool to release the gold onto the surface. 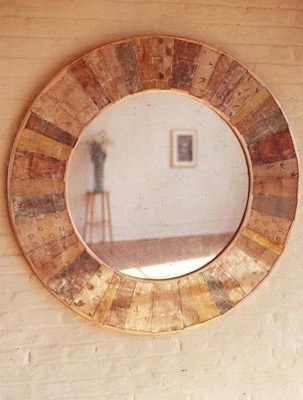 This two mirrors were commisionded by Lason Robb Interiors design. 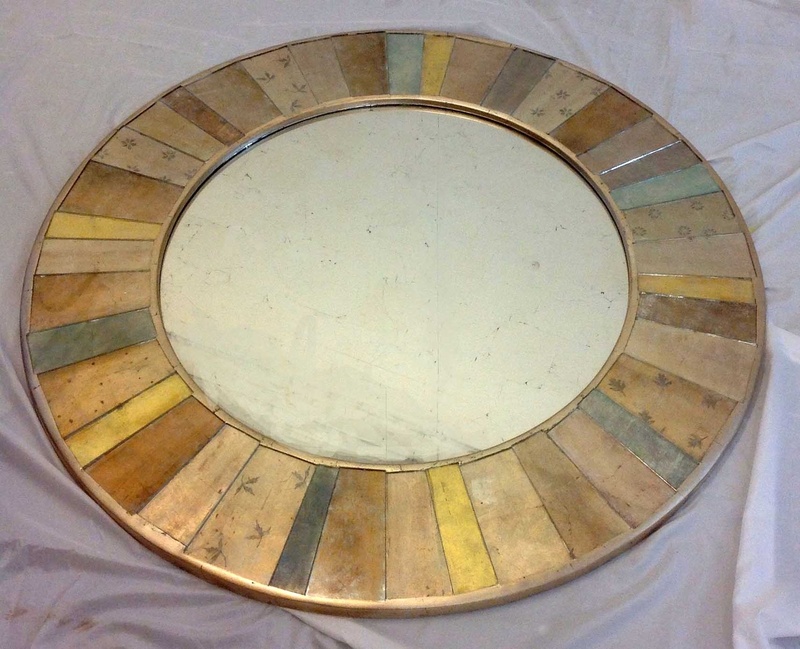 The centre mirror panel were made in silver leaf to achieve an antiqued mirror appearance. 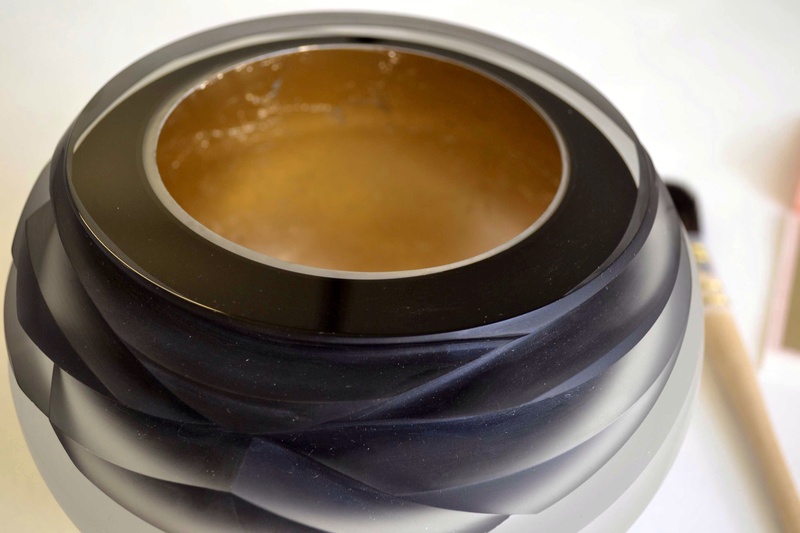 The screen pictured above was produced using the technique of Verre Eglomise and is a bespoke item made to a client specification. White gold with hand painted motifs.